The information provided here is a comprehensive list of charges for each inpatient and outpatient service or item provided by a hospital, also known as a chargemaster. It is a helpful tool for patients to comparison shop between hospitals or to estimate what health care services are going to cost. Most patients are more interested in what their exact services are going to cost them personally, after their insurance has considered the charges, and applied the benefits in their insurance policy. Magruder staff is available to provide you with a customized estimate for your services, as well as working with you to meet the financial costs of your healthcare. If your healthcare provider has ordered services for you, please contact our financial assistance representatives at 419-732-4004. A chargemaster is a comprehensive list of charges for each inpatient and outpatient service or item provided by a hospital – each test, exam, surgical procedure, room charge, etc. Given the many services provided by hospitals 24 hours a day, seven days a week, a chargemaster contains thousands of services and related charges. Chargemaster amounts are almost never received as payment by a hospital. The chargemaster amounts are billed to an insurance company, Medicare, or Medicaid, and those insurers then apply their contracted discounts to the services that are billed. In situations where a patient does not have insurance, our hospital has financial assistance policies that apply discounts to the amounts charged for those who qualify. We have very competitive package prices for patients who want to pay at the time of service, and self pay discounts for patients who pay within our prompt payment period. For more information on our financial assistance policies, please call 419-732-4004. Health insurance companies contract with hospitals to care for their customers. Hospitals are paid the insurance company’s contract rate, which generally is significantly less than the amount listed on the chargemaster. The insurance company’s contract rate, not the chargemaster, is the basis for determining the patient’s actual out of pocket costs. As an example, a hospital may charge $1,000 for a particular service, while the insurer’s contract rate may be $700. If the patient’s insurance plan indicates the patient is responsible for 20 percent of the contract rate, the patient would owe $140 ($700 x 20 percent). For more information, please call 419-732-4004. Is the charge the same as what a patient pays? Chargemaster information is not particularly helpful for patients to estimate what health care services are going to cost them out of their own pocket. The charge listed in the chargemaster is generally not the amount a patient will pay. If you have health insurance, the amount you will be billed and expected to pay for your services depends on your specific health insurance coverage and your insurance company’s contract with the hospital. If you do not have health insurance, you may be eligible for reduced costs under the hospital’s financial assistance policy, or you may be eligible for Medicaid coverage. For more information, please call 419-732-4004. The hospital’s chargemaster does not include charges for services provided by the doctor (or doctors) who treat you while you are at the hospital. You may receive separate bills from the hospital and the doctors involved in your care. If you would like more information about the chargemaster, what your care will cost you or the hospitals’ financial assistance policy, please contact 419-732-4004. Please consult with your insurance provider to understand your insurance coverage, which charges will be covered, how much you will be billed, information on deductibles and your expected out-of-pocket responsibility. 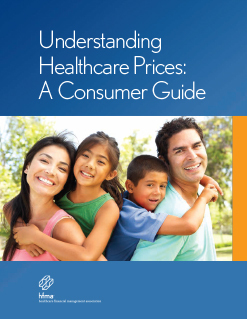 This guide is designed to help you answer common questions about healthcare prices, compare among providers and understand how you can plan and manage your healthcare costs. This guide will help you understand how you can avoid receiving an unexpected medical bill by asking the right questions, scheduling care ahead of time and other tips to help you stay aware of costs. Download the Magruder Pricing List for a machine-readable version of our full pricing breakdown. There are also typically additional physician fees that will be added to your financial responsibility. In order to get a better understanding of your financial obligations, please contact our financial counselors at 419-732-4004. Download the Magruder Medical Group Pricing List for a machine-readable version of our service costs. Download the Magruder Hospital Supply Charges for a machine-readable version of our supply pricing breakdown. Download the Magruder Hospital Pharmacy Charges for a machine-readable version of pharmacy pricing breakdown. The pharmaceutical pricing included here is primarily for hospital based services and may differ from the outpatient retail pharmacy site at Magruder. Please call our outpatient pharmacy for clarification. Pharmaceutical and Biological pricing in general is calculated based on continuously changing current market prices. Pharmaceutical care is dose and disease state specific and drug therapy is very patient specific. Prices are highly variable due to drug shortages and changes in average wholesale price. Drug prices have historically been increasing. These prices do not guarantee the availability or insurance coverage for a particular medication. Some medication prices do not include professional fees, cost to mix and administer drugs or other oddities which make comparison shopping dramatically different from retail pharmacy.